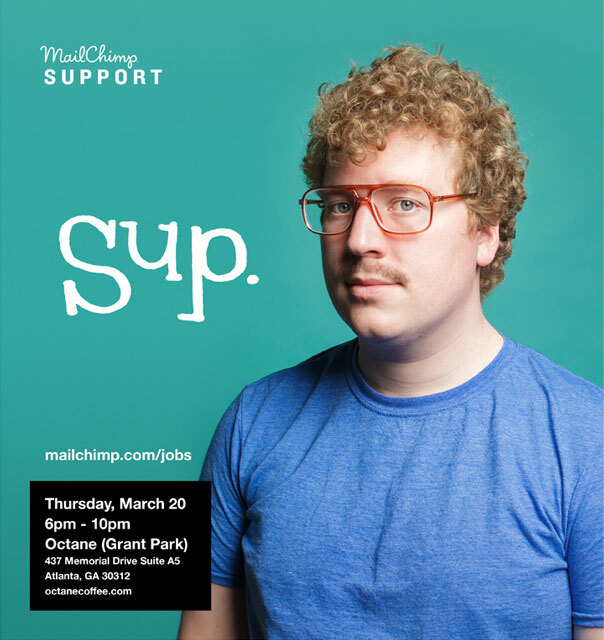 MailChimp was looking to hire a bunch of new folks to work in support at our headquarters in Atlanta. But we were running into a problem: we had more positions open than qualifed applicants. We were putting on 'Meet and Greets' to try and find people, but we were relying on social media and word of mouth to let people know the events were occuring. Advertising for us normally looks like, well, we normally don't plaster our name on things, or include URLs. 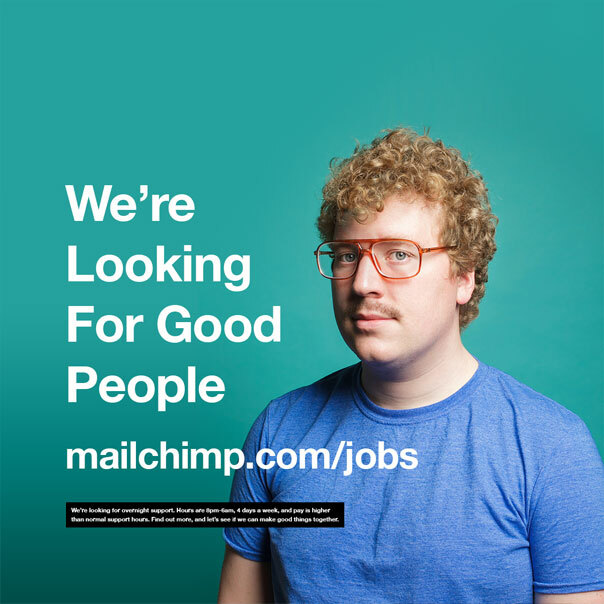 But acting like mysterious strangers wasn't going to help us meet new people, so we needed to figure out how to make a MailChimp recruiting ad. Tone was important. We need to communicate the worth-while-ness of coming out to an event like this. 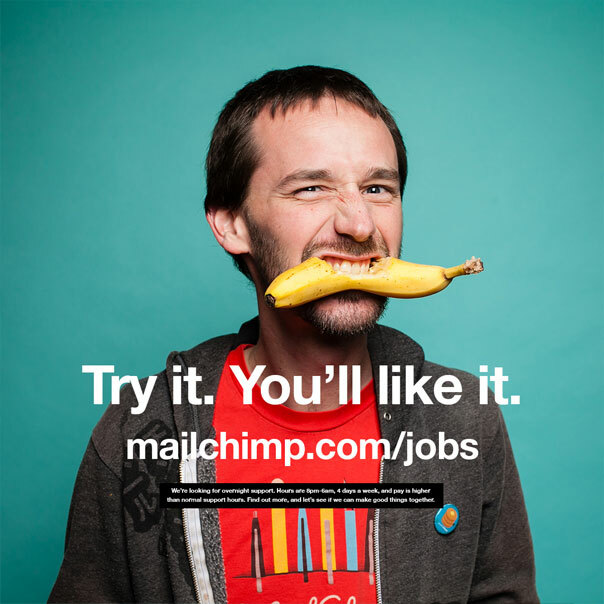 MailChimp is a great place to work, and kind of a weird place to work. And it need to be brief, but human. I had free reign, and started coming up with copy. 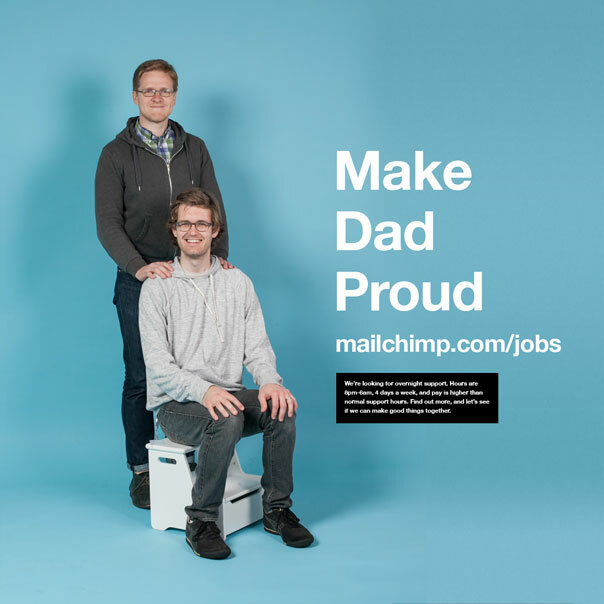 "Make Dad Proud" might be my favorite. The photography felt right. I added longer phrases. I cut all the words. I flipped images. It was weird. Weird was what we wanted. Handwriting added in the right amount humanity into the ads. I did a few, and I asked Jason if he could try some. He has amazing handwriting. He nailed the headlines, and we decided to make the whole thing handwritten. 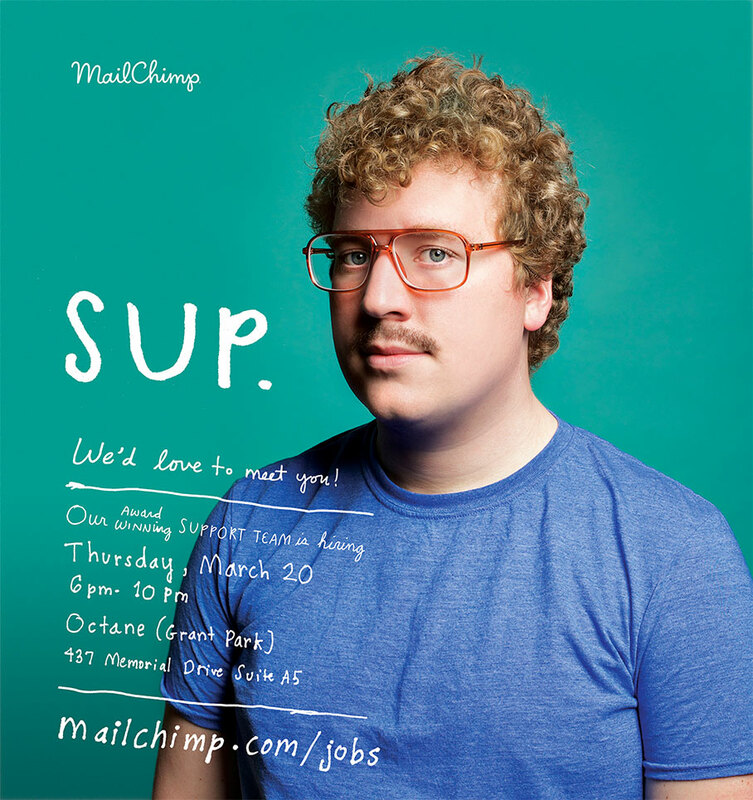 The first ad was "Sup," and over the next two weeks we followed with "Nite Owls" and "We're Friendly." Jason did the photography and type for all three pieces, and they turned out perfect. The response was better than we had anticipated. The event we were advertising was packed, so much so that they had to schedule time to meet with more people later that week. 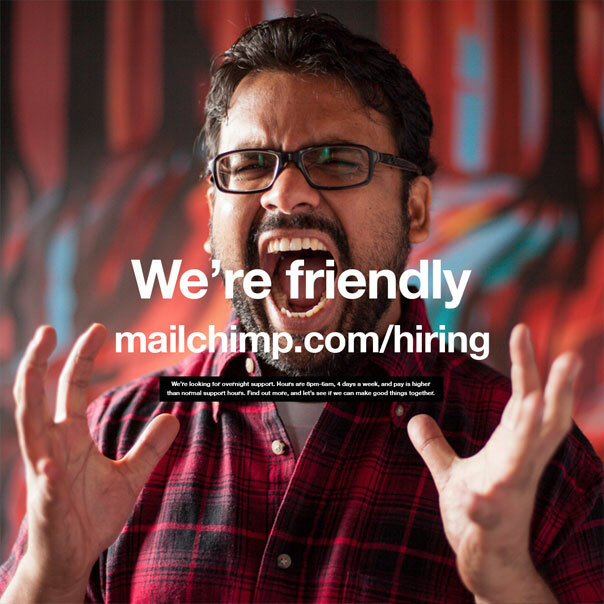 We saw some great people, and hired them. Success.